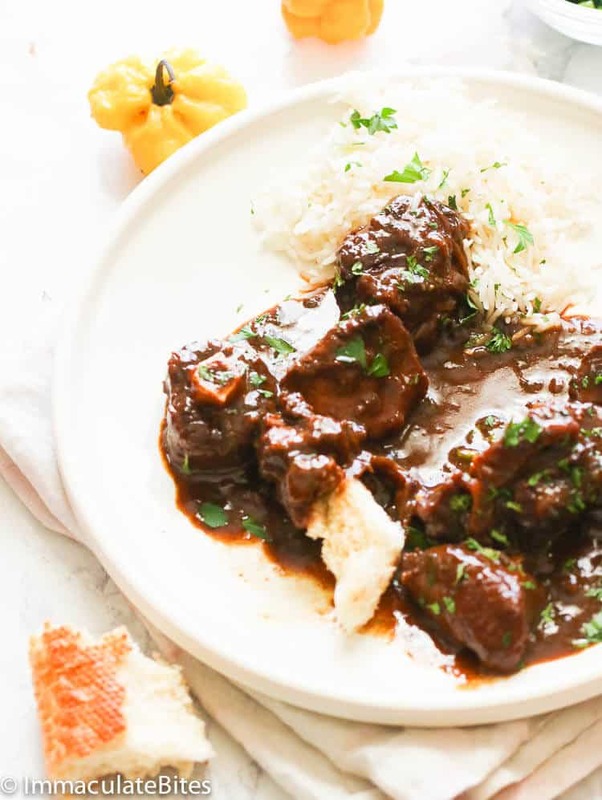 Pepperpot – a popular holiday meat stew in Guyana and the rest of the Caribbean simmered slow and low in a dark rich gravy flavored with cinnamon, brown sugar and cassareep (brown sauce) that makes the dish gets better over the time. Uniquely appetizing! What’s better than welcoming the start of BER months ( Hello, September!) with a popular Christmas dish? Oh yes! You didn’t see this coming, huh? And now I can’t believe we’re already talking about the holidays! I’m beginning to ask myself where have I been for the past few months. If you’re as puzzled as me, then welcome to the club! 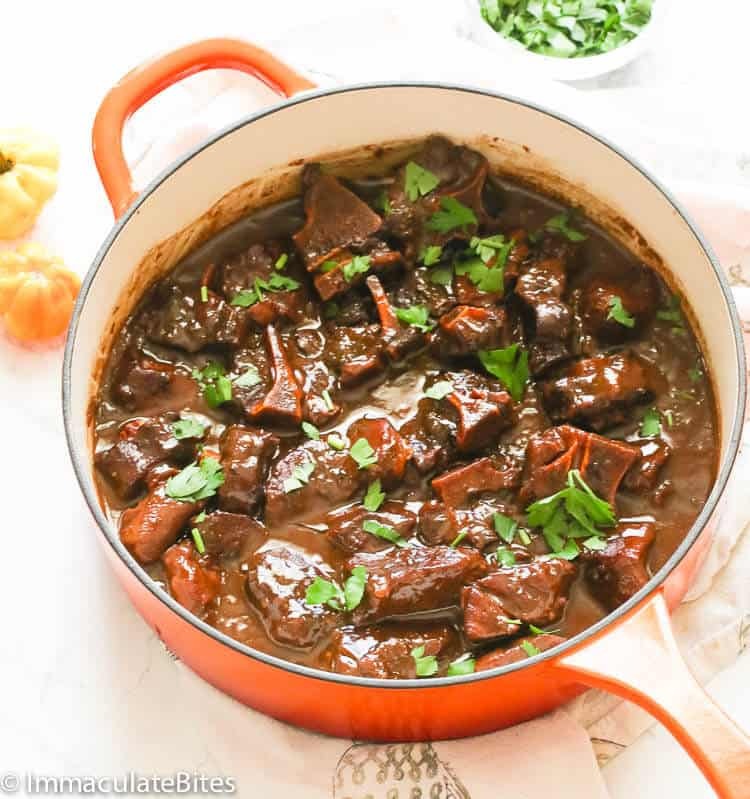 Now I’m hoping that you’ll all be revved up for the holidays with today’s recipe – PEPPERPOT. Pepperpot is Guyana’s national dish, made popular by the Amerindians, and is usually served on the Christmas table. 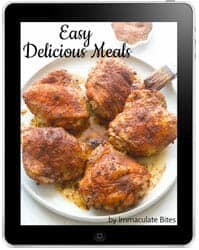 Cooking the meat slow and low in a special flavorful sauce makes it always a hit not just to the Guyanese but across the Caribbean. Most people enjoy it as an every day and it’s not just reserved for Christmas anymore. Also this shouldn’t be confused with the Jamaican pepper pot. It’s made with greens and it’s totally different from this one here . Pepperpot has different variations but with one thing remains constant – Cassareep. Nope. Cassareep isn’t a pirate’s name (which sounds so cool, btw) or whatever. Cassareep is a thick brown sauce used as a base for pepperpot. It comes from the juice of the cassava root, coupled with additional spices, that are boiled together until it becomes similar to that of thick molasses reduction. It somehow smells like a burnt sugar. The cassareep allows the meet to be preserved for days even left out on the stove top without getting bad. Truly an unmatched cooking ingredient. Where can I buy cassareep for my pepperpot? I know I mostly say that homemade is always the best, but this time, cassareep is best when bought from the stores. This unique and flavorful ingredient requires certain techniques and boatloads of patience which is unattainable when making at home. Most people won’t even try making one. It’s basically better when bought off from the stores. Cassareep can be bought in bottles at local West Indian or Caribbean stores and some Asian stores, too. Or you can always search one. Make sure to always get the authentic one. You’d totally rip all those meat apart and dive right into that rich Christmas sauce. It’s so fragrant, flavorful down ot the last bite and pretty easy to make. 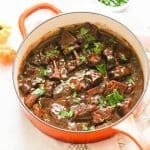 Now if you’re thinking in advance on what to prepare for the holidays, I hope this pepperpot dish comes up on your list. But don’t wait ’til Christmas. You can always serve it with bread or this skillet cornbread. You can choose whatever meat that rocks your boat. 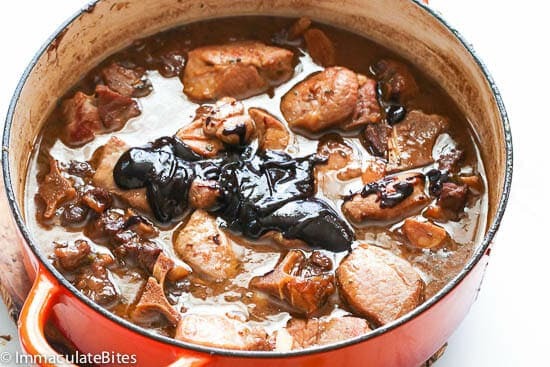 Most people would use pork alone, or a combination of pork and mutton or pork and oxtails. Some would even use chicken. You can buy cassareep bottles at West Indian or Caribbean stores, some Asian stores and even online. Skim and discard the scum and oily fats floating at the top of the pot during braising. 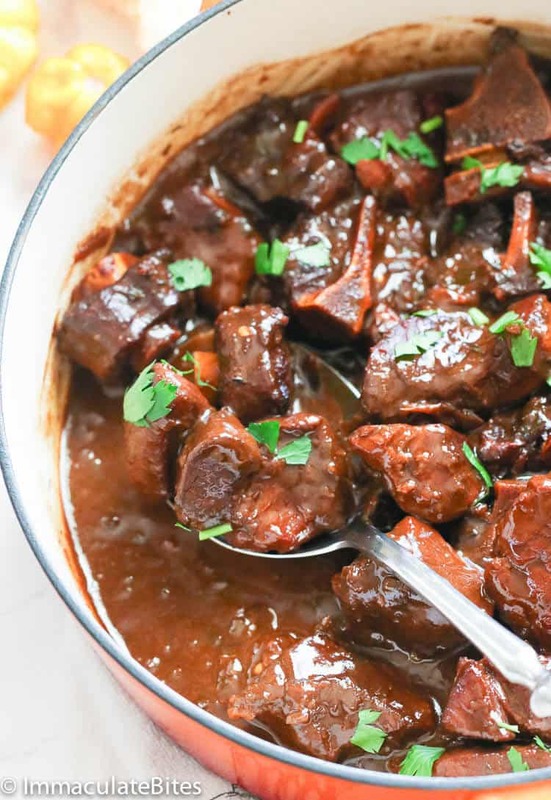 Pepperpot doesn’t need to be refrigerated and be left on the stove top. Suprisingly, the flavor gets so amazing over the time. 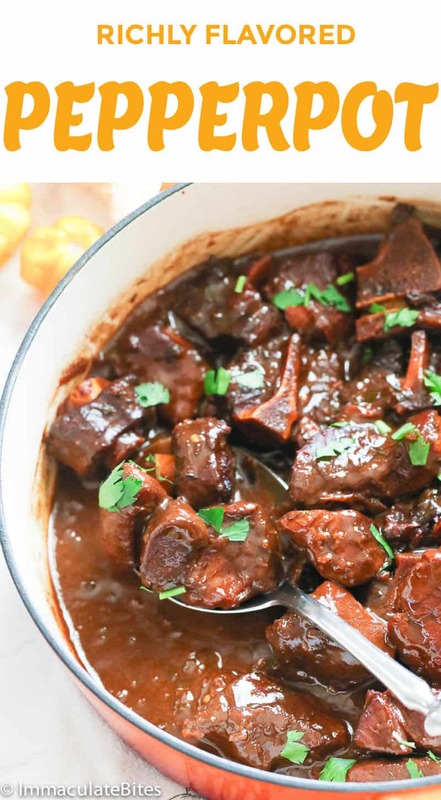 Pepperpot – a stewed meat dish popular in Guyana and the rest of the Caribbean. 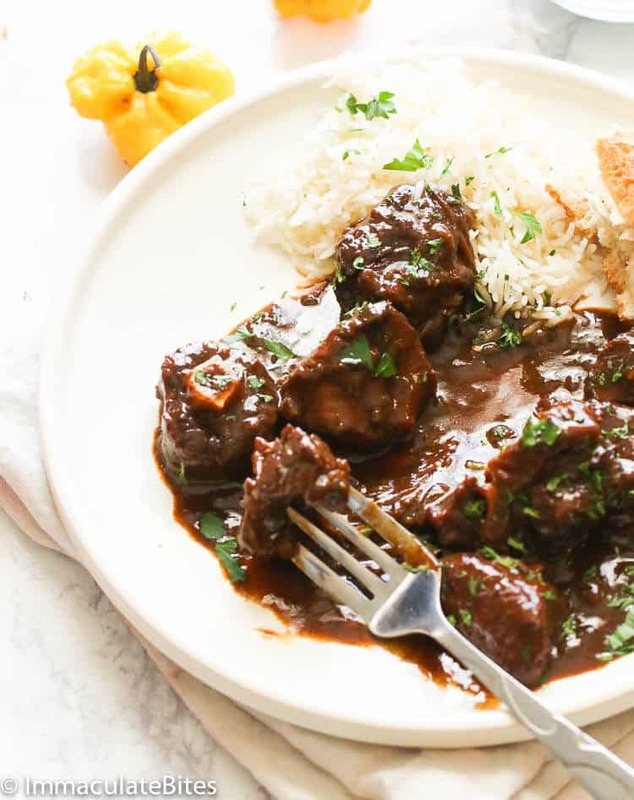 A special stew simmered in a rich dark gravy flavored with cinnamon and cassareep that will make a great impression for a lifetime! Place oxtail and pork in a large bowl or ziplock bag then add salt, garlic, thyme, white pepper,onion and bouillon powder, if using any. Mix oxtail with a spoon or with hands until they are well coated and inch of the meat is covered. Set aside in the fridge. If possible let it marinate overnight. When ready to cook, shake off any excess spice from the meat. Place a large Dutch Oven or heavy bottom pan on medium heat, then add sugar, keep stirring until it caramelize and begin to turn deep brown. Be careful not to let it burn. Add the pork to the dutch pan and brown to seal in flavors , this might take about 3 minutes. Remove pork from the pan and set aside on a plate. Add oxtail and brown, stirring to prevent any burns, until brown. If pot is not to large, do so in batches. Throw in the garlic, onions, thyme and scotch bonnet . Continue cooking for about 3-5 minutes. Pour in the ½ of the cassareep, thoroughly mix and continue cooking for about 1-2 minutes. Next add water to cover the the meat , bring to a boil , reduce heat and let it simmer for for about 40 minutes. Return pork to the pot , add the other half of the cassareep , add more water , if needed. Water should not be above the meat. Continue cooking for about 1 1/2 – 2 hours or until beef is tender. Sauce should be thick and beef melting tender. Adjust with seasonings to taste. Garnish with parsley and serve with bread. Place oxtail and pork in a large bowl or ziplock bag then add salt, garlic, thyme, white pepper,onion and bouillon powder, if using any. Mix oxtail with a spoon or with hands until they are well coated and inch of the meat is covered. Set aside in the fridge. If possible let it marinate overnight. When ready to cook, shake off any excess spice from the meat. Place a large Dutch Oven or heavy bottom pan on medium heat, then add sugar, keep stirring until it caramelize and begin to turn deep brown. Be careful not to let it burn. Throw in the garlic, onions, thyme and scotch bonnet . Continue cooking for about 3-5 minutes. Pour in the ½ of the cassareep, thoroughly mix and continue cooking for about 1-2 minutes. Continue cooking for about 1 1/2 – 2 hours or until beef is tender. Sauce should be thick and beef melting tender. Adjust with seasonings to taste. Garnish with parsley and serve with bread. I made it and mine’s taste bitter. What did I do wrong? Please help me fix it. Be careful when browning the sugar and oxtails- do not let it burn. Cook on low heat for about a minute , or just until lightly brown.